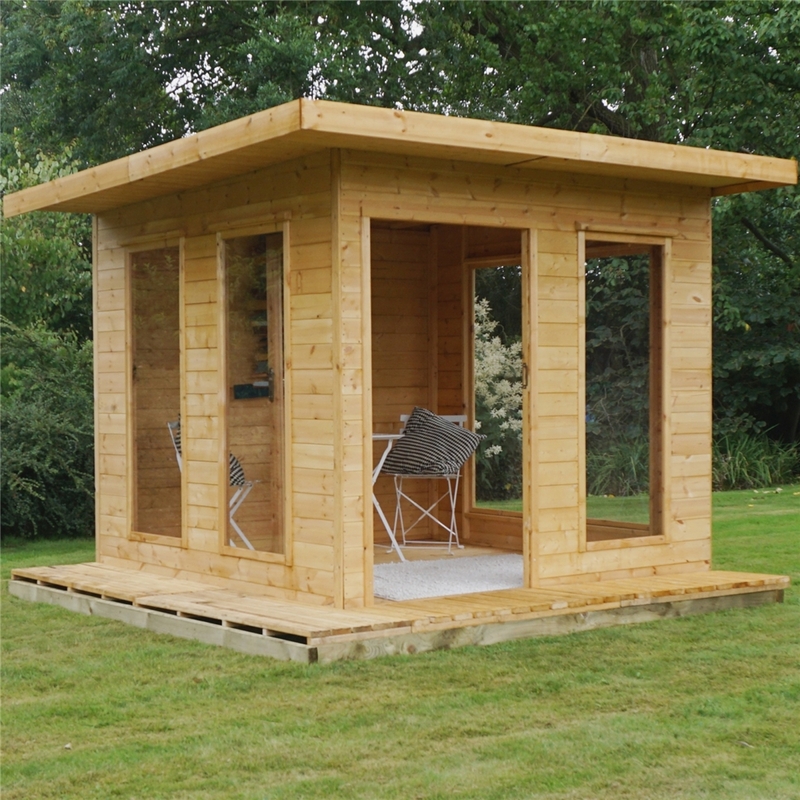 The Cube Summerhouse is designed to be the centre of attention in your garden and is a must have for any garden. The Cube summerhouse offers shaded space for those hot summer days as well as a shelter from the harsh winter weather. The walls are constructed from quality 12mm tongue and groove cladding along with the floor and roof. 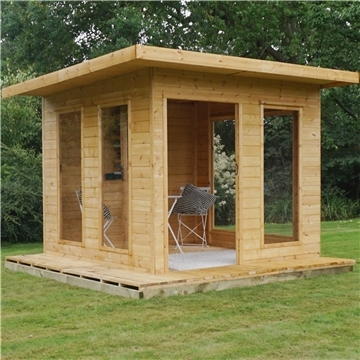 The Cube summerhouse is supplied with styrene glazed windows and double doors. The floor and roof are manufactured from 12mm tongue and groove timber. The summerhouse comes with double doors which enable easy access.